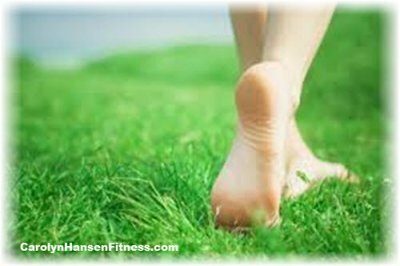 You might not realize it, but “earthing” restores and maintains the body’s finely tuned electrical state which in turn promotes optimum health. The art of “earthing” believes that our bodies are meant to come into contact with the Earth on a regular daily basis for balancing our electrical system and healing. The cells in our human bodies have electrical energy and we’re getting a high amount of positive electrons building up in our bodies by the prevalence of electromagnetic waves from cell phones and Wi Fi gadgets. When we are “grounded”, any free radical’s or electron deficiencies are corrected. Electrons are the source of antioxidant power and the electrons from the ground potently neutralizes and quenches free radicals that otherwise rip off electrons from healthy tissue, the cause of tissue damage and chronic inflammation. Those scoundrel free radicals (positive electrons) build up in our bodies and direct contact with the earth (a grounding force) balances this out since it is a negative grounding charge. In early times, mankind spent a great deal…if not most of his time outdoors in contact with the earth, gardening, walking, hunting and tilling the soil. Recently, Laura Koniver, MD conducted a 10 week study examining the relationship between earthing and weight. Those who participated touched the earth for a minimum of 15 minutes a day for 10 weeks. They were followed up for any changed in weight, pain, mood, sleep, stress level, energy level and other important life parameter. It’s interesting to note that the participants that had pain issues saw them resolved while those with no pain issues lost weight. It’s almost as though the earth was reading exactly what was needed in the way of energy and supplying it directly to heal the most acute area. Participants who reported moderate to severe pain issues to upon starting the study had significant reductions in pain levels rather than losing weight…while those with no pain issues at the onset of the study were the ones that experienced a significant change in their weight, losing between 4 and 15 pounds over a 10 week period. In other words, the pain level in those with active inflammation was significantly improved while those not needing help in those areas lost weight. The most amazing thing is they did not change anything else about their lives…they simply started walking directly on the earth for 15 minutes a day. So, not only can you look to Mother Earth to provide you with all the nutrients you need to grow a strong, vital, long living body, but it seems that Mother Earth just might hold the key to healing. The earth…it does a body good. For more great tips on how to break the weight loss resistance plateau I created “Stop Weight Loss Resistance”…the ultimate solution to the weight loss resistance program.